It was not only his musical personality that motivated me and my colleagues to give all our strength to the service of music. His warmth, friendship and love of life, as well as his irrepressible joy in music-making, invigorated us and will do so for the rest of our days. 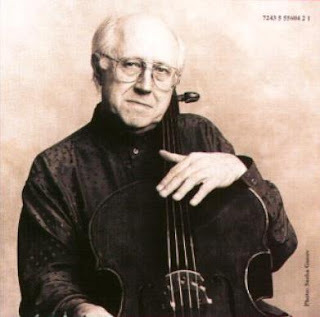 Lambert’s words ring true foranyone that’s spent more than five minutes with Rostropovich. Amen. Farewell to Slava – a Soldier of Music. Vladimir Spivakov. He used to lead the Russian National Orchestra until he had some sort of falling out with the management, so he persuaded the Russian government to start the “NPR” – although they originally called themselves the “Russian National Philharmonic” (RNP?) until the RNO objected. With me so far? (Sorta reminds me of the old Monty Python skit of the in the Life of Brian. Just to make things more confusing, Spivakov also heads the Moscow Virtuosi, a chamber-orchestra that features members from both groups, as well as other Russian ensembles. Vladimir V. Putin as its personal godfather. Still, export or die seems the motto for this parade of visitors, whose rivals seem not to be other international orchestras but one another. Getting together and comparing travel schedules might be helpful.When they come, we know what we are going to get: big Russian music conveyed by big Russian sound reinforced by oversized string sections. (Monday’s program listed 32 violins, but I thought I counted more.) 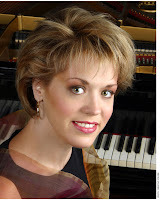 Often attached to these events are Russian pianists or violinists of howitzerlike virtuosity. Tender foreign sensibilities are not used to such firepower.